Recently we've reported on the Canada versus US women's footy match (see North American women's footy on SEN and US Freedom dominate in first women's international) and the Tiwi Islands girl who won the Yarra League U13 Best and Fairest (see Young Tiwi girl beats the boys to win junior league B&F). It's all part of the rapid growth of the game in this demographic. In Melbourne throughout the winter my local paper has had regular reports on the South Mornington Tigerettes, who play in the Victorian Women’s Football League. It is an area where those who may have traditionally thought of it as a male domain on-field have had their perceptions challenged. There could be exponential growth in the near future and women's footy is certainly closer to being in a reasonable position to have a World Cup with full Australian involvement, than the men's game. One of the countries that might be ready for that is Papua New Guinea, which has also been proactive with its development of women’s footy which we touched on in PNG Representative preparations in place. Now we look at the recent history of the women's game up there in Australia’s closest northern neighbour. Not only is AFLPNG providing the opportunity for young ladies to play sport and represent their country at the international level, they are providing a pathway for woman to continue in the sport as employees and officials. Some of the history related to this was when the AFLPNG introduced girls Australian Football in the Under 13 and Under 15 age groups at the local level in March 2005, followed by the introduction of Under 15 Girls at the AFLPNG National Youth Carnival in October 2005. The response was so positive that a National U16 Squad was selected at the 2005 Championships and named the “Kurakums”. AFLPNG also made a decision that all female representative teams should be coached and managed by female officials. 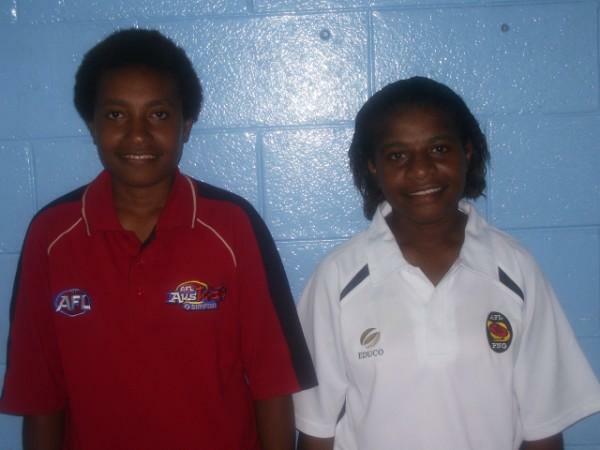 October 2006 saw the inaugural tour of the Kurakums to Australia to take part in the Queensland U16 Girls State Championships, and the success of the tour resulted in the Kurakums being accepted as a permanent member of these Championships. This year’s squad is already in the midst of preparations for their October tour to Cairns. Lillian Barnabas is the first female Development Officer working with AFLPNG in Port Moresby. 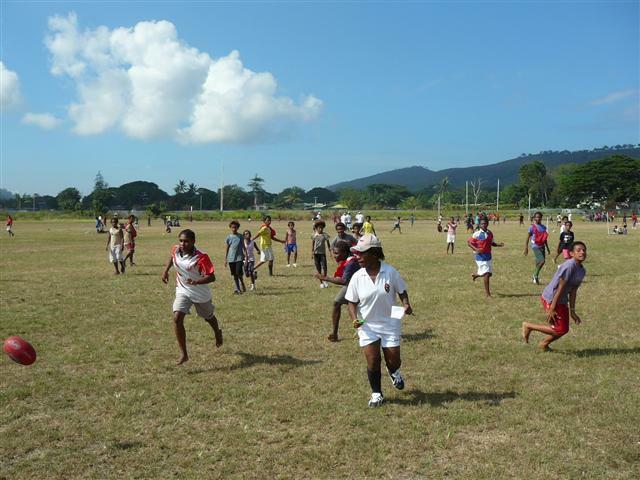 Lillian is involved in working with children in Port Moresby, developing their motor skills and introducing them to the exciting game of Aussie Rules. She has also undertaken a Level O Coaching Course. Sylvia Kotapu is a Level O qualified Umpire and umpires every Saturday morning in the schools competition. Although small in stature, she takes no nonsense from the male players and umpired the Under 15 finals in the recent Regional Championships. Sylvia still plays football and is a member of the 2007 Kurakums Squad. Natalie Beno is involved in coaching local girls teams in Port Moresby and has recently undertaken a Level O Coaching Course. With the experience of one tour behind her, and due to her commitment to coaching the sport, Natalie has been appointed as the National Coach for the 2007 Tour to Australia. Pole Crompton, although not a Kurakum, is a mother of one this year's girls. Pole has been the administrative strength behind the PNGAFL in Kimbe and not only supports the juniors but recently took up the position as Secretary/Treasurer to the Kimbe senior association. Because of her commitment Pole has been selected as the Team Manager of the Kurakums. This has been marvellous development work from those connected with the AFLPNG and we wish them all the best with their future efforts.